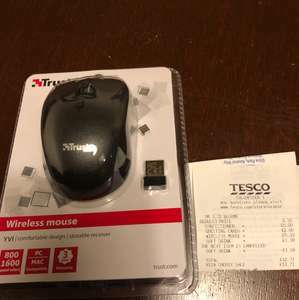 Was advertised as £8 but scanning at £5.33. Not too bad if your looking for a cheap one. Cheap rubbish, had one but it only lasted a couple of weeks. Seriously, who is going to make a warranty claim on a £5 mouse? And I thought this was a brand you could Trust to be reliable.